Finde unter den folgenden Darstellungen die passende Finne für dein individuelles Setup. Fins are not fashion accessories : different colours, new shapes of no technical interest, and attractive serigraphy don’t mean anything in terms of performance. The size of the fin is of major importance : your fin is your propeller... It transmits the energy captured by the sail and generates a push which propels your board forwards. 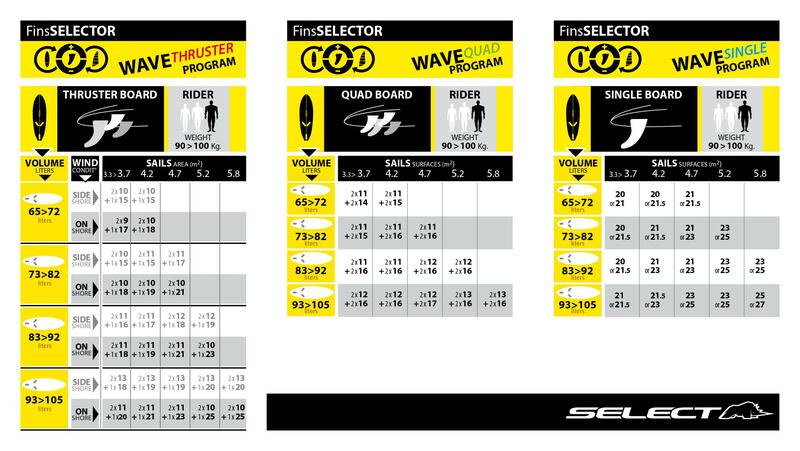 In order for the propulsion principle to work well, your sail / board / fins’ suitability must be perfect ! The Power DELTA replaces both AW Race and DELTA range.